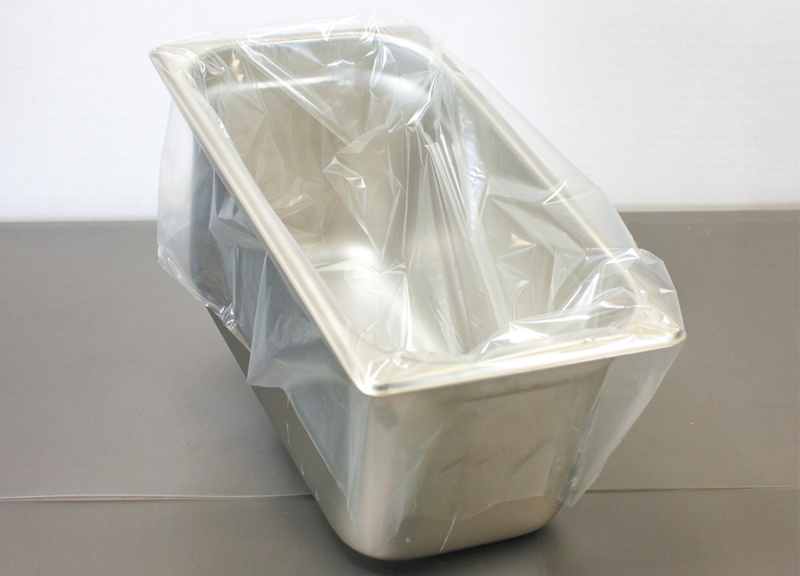 Handgards pan liners can save time and money for your establishment while also improving the quality of your food. 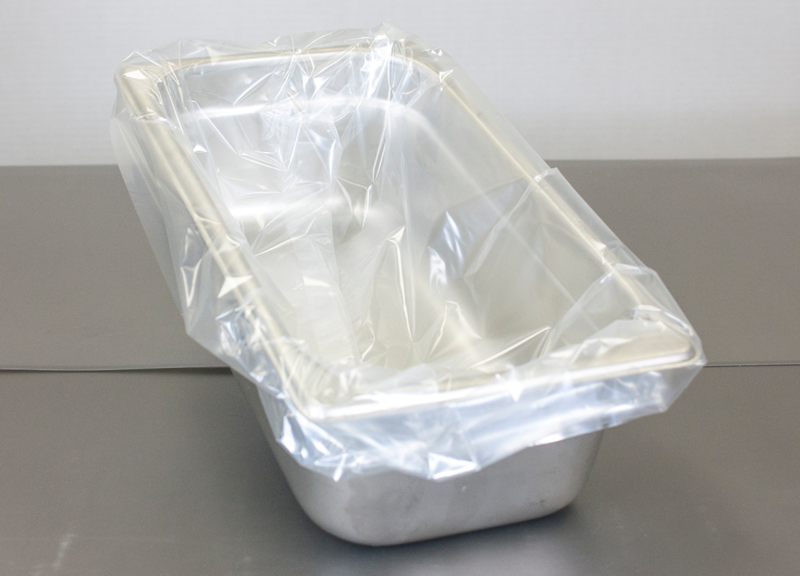 Our pan liners can eliminate labor intensive jobs such as scrubbing and scouring baked-on foods. They also make your food safer since the food never touches the pan. 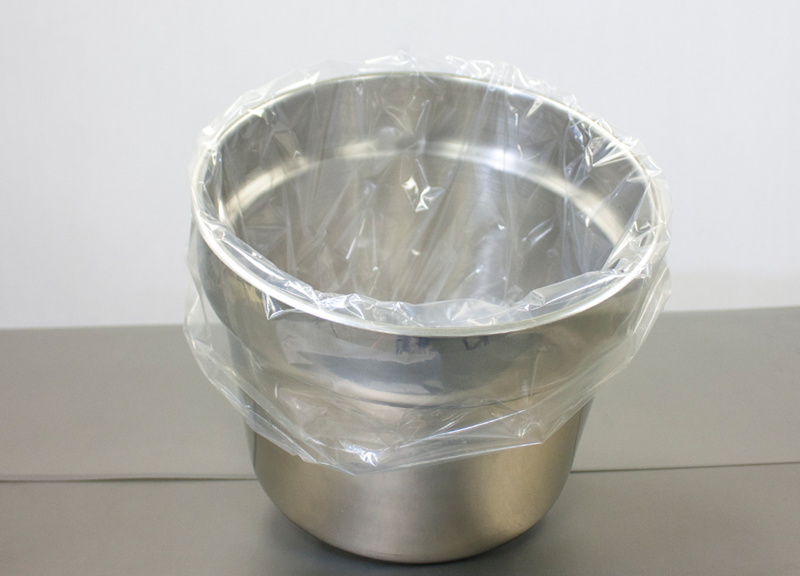 This prevents any chance of surface contamination. 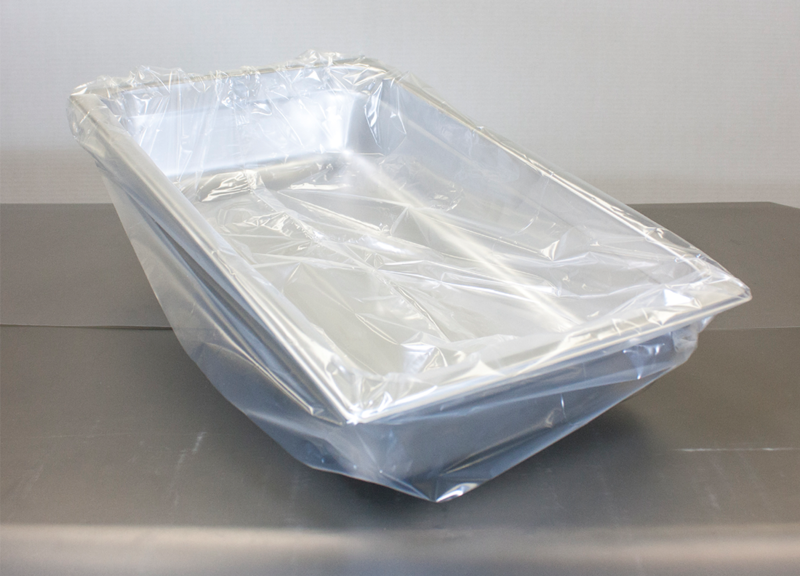 Ovenable Pan Liners and Ovenable Roasting Bags are made of Nylon material that can withstand temperatures up to 400° F. These pan liners are used to cook, serve, and store food. 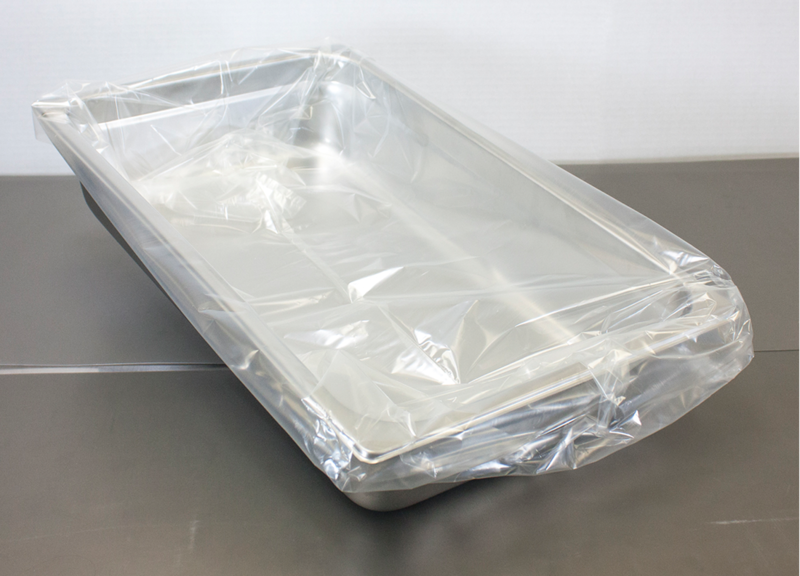 Steam Pan Liners are made of high density polyethylene material that can withstand temperatures up to 200° F. They are used to hold, transport, and serve food from steam pans. STEAM PAN LINERS ARE NOT DESIGNED FOR USE IN OVENS. 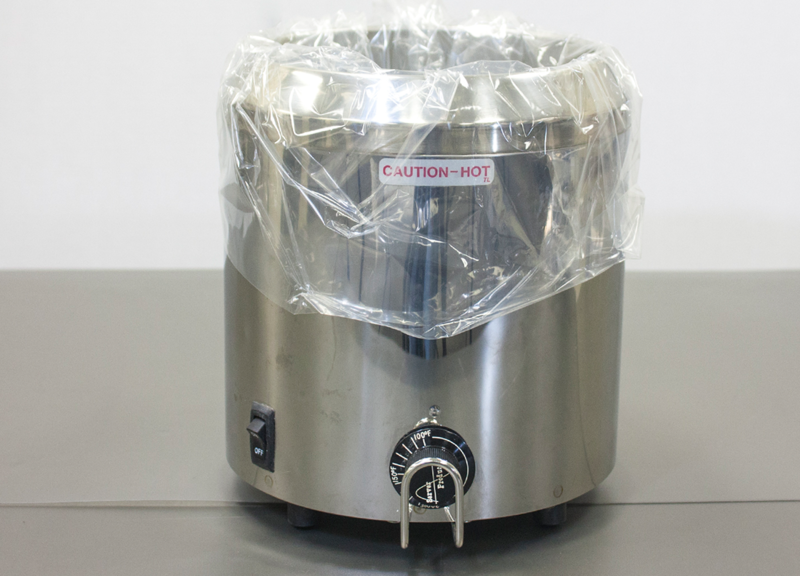 For optimal results it is recommended that you follow your own procedure/process when testing food items. 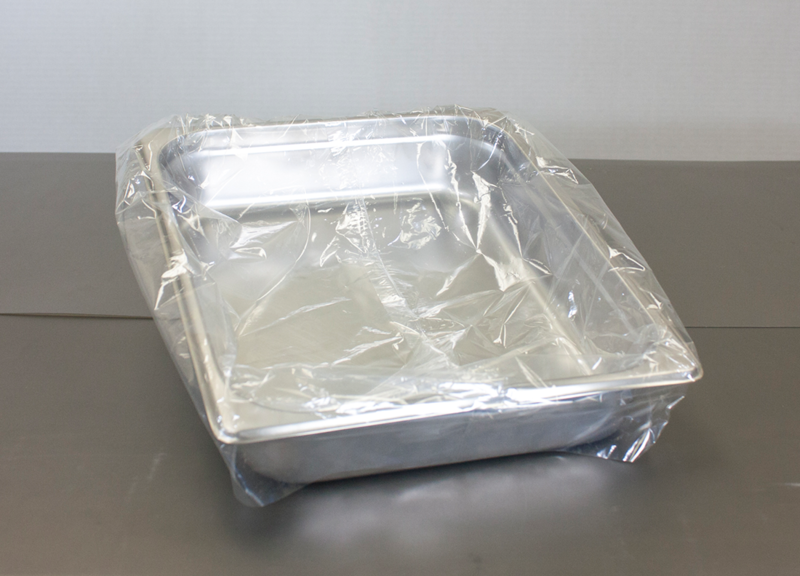 Ovenable Pan Liners are made of Nylon material that can withstand temperatures up to 400°F. 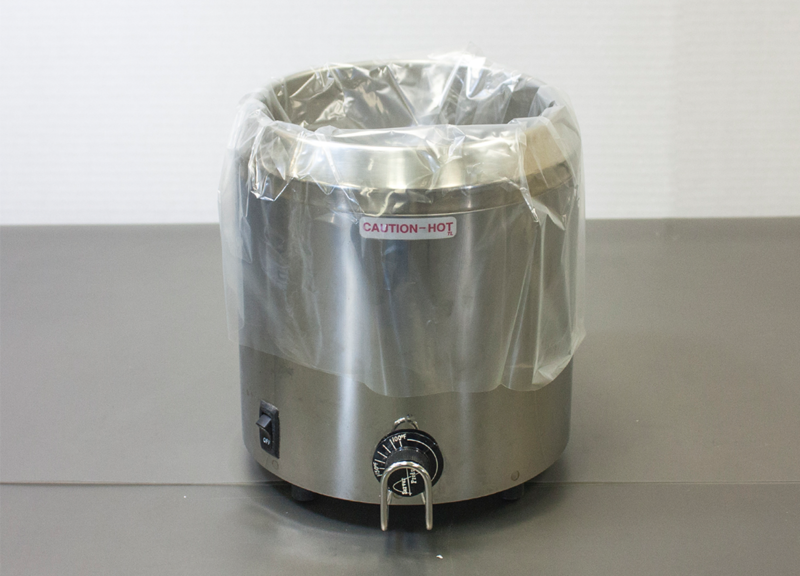 PanHandlers® products help you handle food preparation. 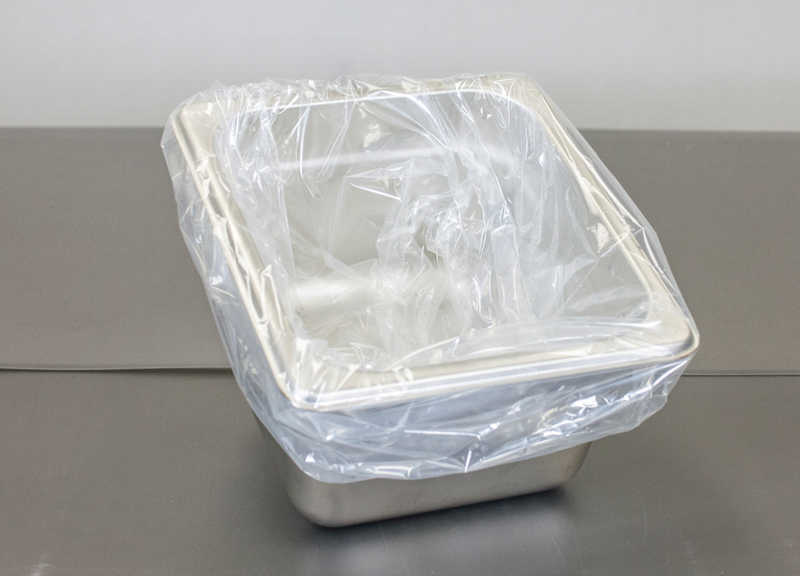 Make clean-up a snap with two complete families of disposable pan liners and cooking bags. 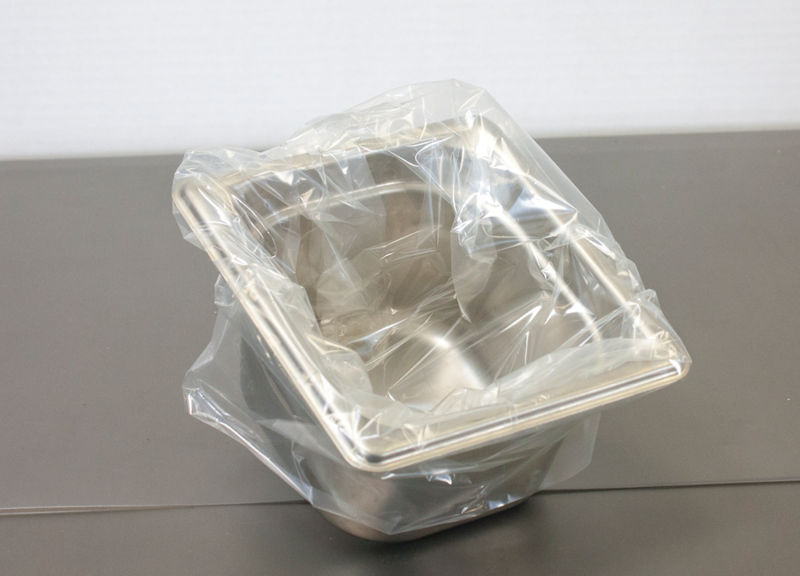 Designed to provide a sanitary way to hold, transport, cook, and serve food from steam pans to baking pans. At the end of the day, simply twist tie leftovers and store or dispose. 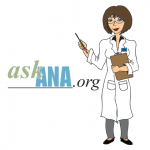 Save on time, labor, and cost of cleaning chemicals. 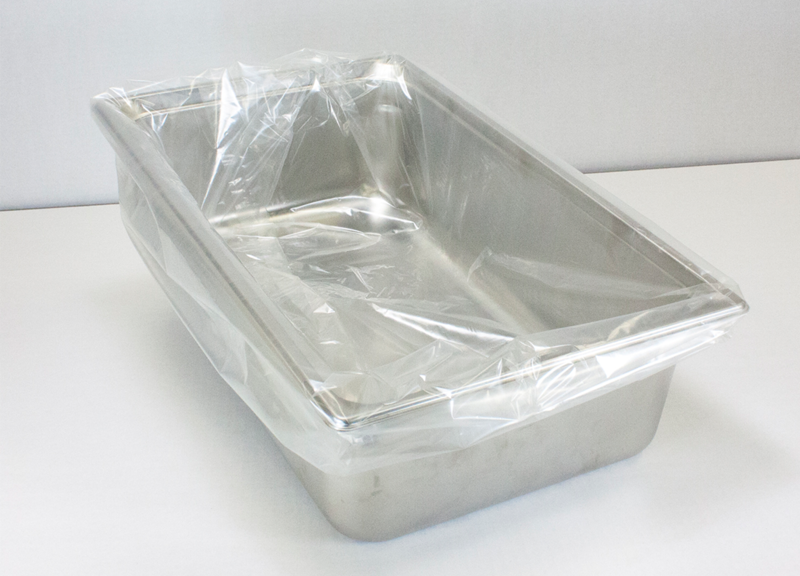 Eliminate scouring and scrubbing of pans to remove baked-on foods. 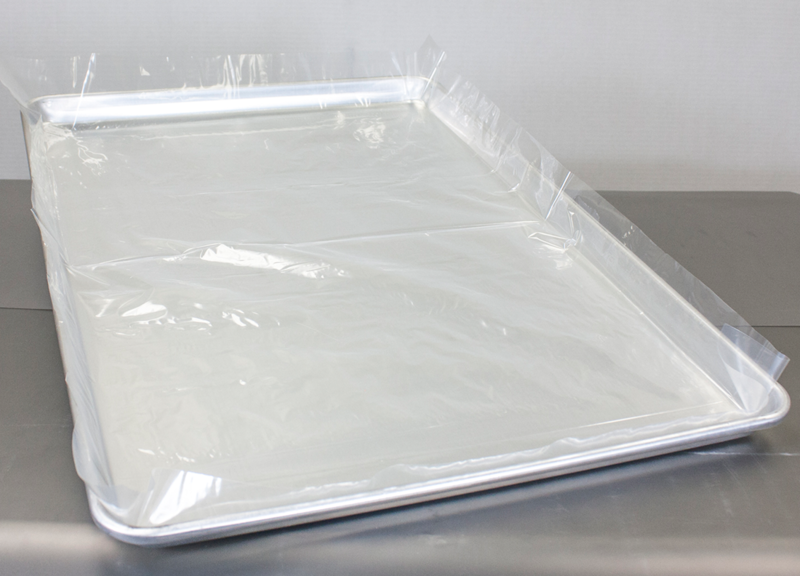 Ovenable Pan Sheets are made of Nylon material that can withstand temperatures up to 400°F. 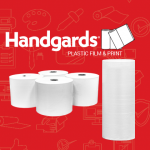 PanHandlers® products help you handle food preparation. 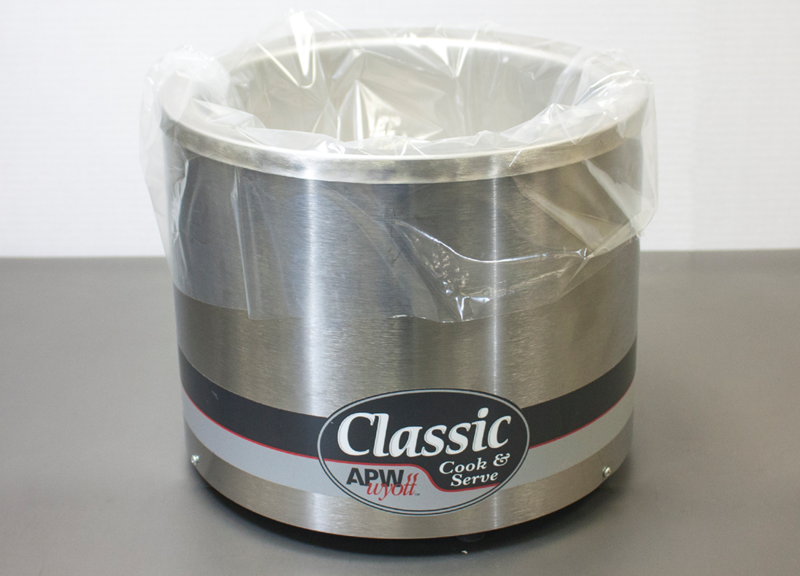 Make clean-up a snap with two complete families of disposable pan liners and cooking bags. Designed to provide a sanitary way to hold, transport, cook, and serve food from steam pans to baking pans. At the end of the day, simply twist tie leftovers and store or dispose. Save on time, labor, and cost of cleaning chemicals. 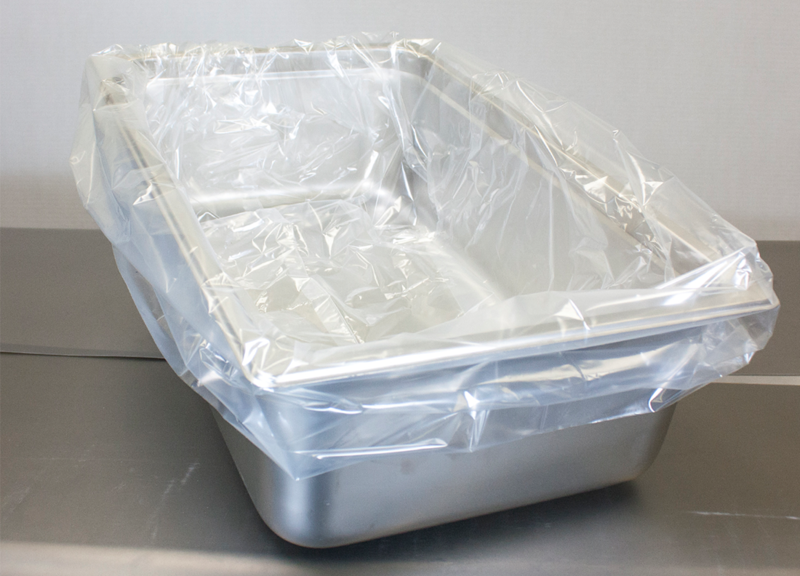 Eliminate scouring and scrubbing of pans to remove baked-on foods.